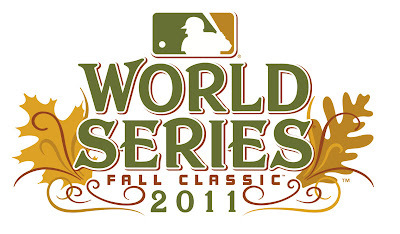 Well it's been an exciting postseason after an epic culmination of the regular season and here we are, the Fall Classic. The champions of the National League, the St. Louis Cardinals, and the champions of the American League, the Texas Rangers, will be duking it out in a best-of-seven to decide the champions of the 2011 MLB season. Who do I got? If they played the series on paper, it would be pretty hard to pick against the Rangers, who have the deeper lineup, with Nelson Cruz having an epic ALCS and Josh Hamilton always a threat, and the deeper pitching staff featuring their ace C.J. Wilson and their closer Neftali Feliz. Meanwhile the Cardinals have been on fire since the start of September when they made a historic catch of the Atlanta Braves to win the Wild Card and their manager Tony La Russa has been doing some of his best managerial work. And let's not forget a guy named Pujols, a guy named Berkman and a guy named Berkman. But for me, I just can't see the Cardinals overcoming the Rangers' depth and their great run will come up short of the trophy. 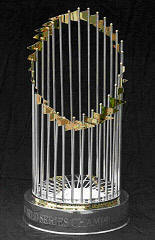 I think that the Rangers will be champions of baseball in seven games.